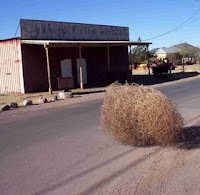 The Ferny Blog: Tumbleweeds Here... Contributors, editors or admins wanted! Tumbleweeds Here... Contributors, editors or admins wanted! Want to contribute to, edit, or even administer Ferny Blog? You might have noticed it has been a bit quiet here of late. Actually the previous post in late January was a mere 6 days before the birth of my first son and I have unceremoniously abandoned efforts on The Ferny Blog due to a severe shortage of time. Children will do that I guess, and I have focussed what little blogging energy I have over on my programming blog, which might actually make me better at my job and keep my new son in nappies for a while longer. Which is not to say that I don't think Ferny Blog (or something like it) can't play an important role in our community. My vision for it is to aggregate local news to make it easy for people to find local news and information concerning Ferny Grove, Ferny Hills and Arana Hills. As residents of this area we are most impacted by what happens here. It is also the stage where we can have the biggest influence. I would like Ferny Blog to continue, and you can help. I am looking for contributors and eventually even editors and administrators for the blog. Contributing might consist of posting a link to local news story, writing your own news story, letting people know about a local service, writing an opinion piece or even just keeping the calendar up to date. If you would like to have a go (and you really need zero experience - enthusiasm will count for a lot), please let me know or comment below. I haven't worked out all the details but I thought I would put my feelers out. Hi There, would be interested in assisting - if you are still working on this blog.